By now the tremendous success of Callaway's Chrome Soft franchise is well known to anyone who plays golf, as is the particular popularity of the unique-looking Truvis models. 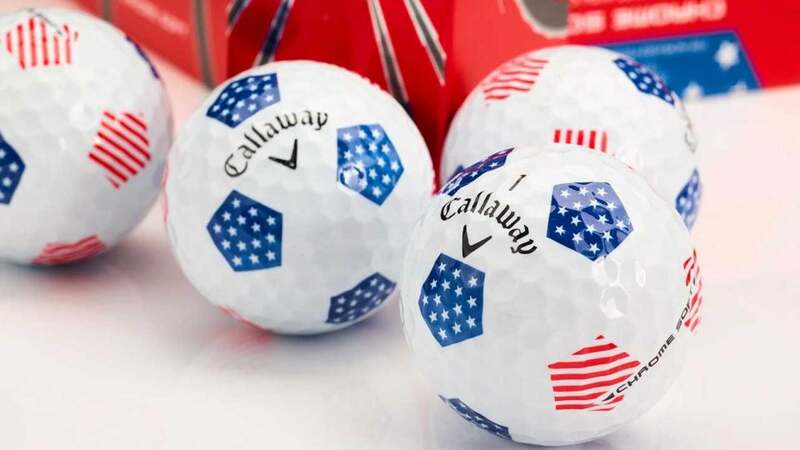 Typically only available in red and white or yellow and black color schemes (with occasional limited edition options), the latest Chrome Soft Truvis ($44.99/dozen) features a red, white and blue design complete with stars and stripes (all Chrome Soft golf balls are manufactured in the USA). Other features of the latest Chrome Soft Truvis model include the same construction and performance as the standard Chrome Soft, including a new larger, Graphene-infused Dual Soft Fast core that optimizes energy transfer at impact for high launch, low spin distance off the tee and enhanced control around the greens. An extremely thin Urethane cover and low compression core round out the features by providing exceptionally soft feel and feedback at impact. The new Chrome Soft Truvis Stars and Stripes will be available at retail on May 18, 2018.